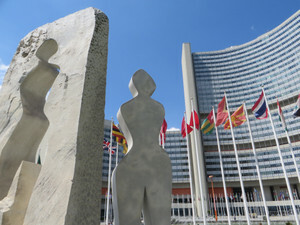 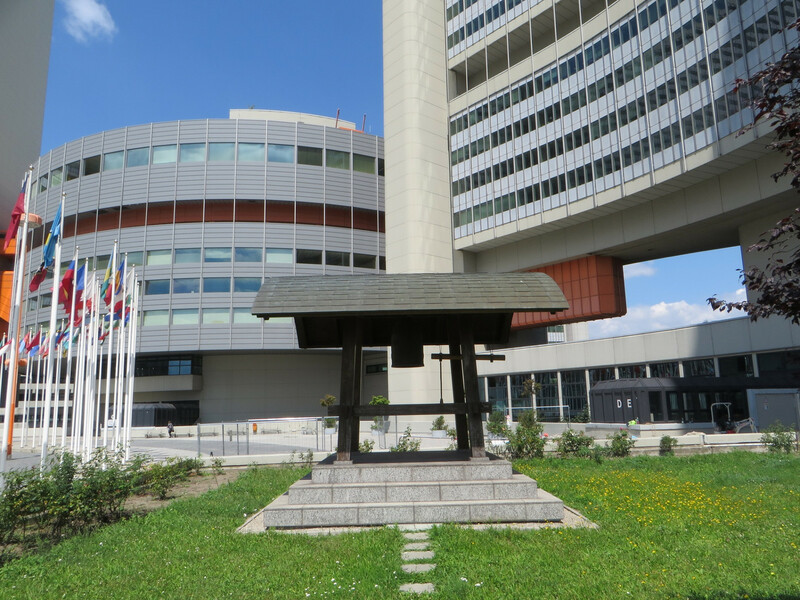 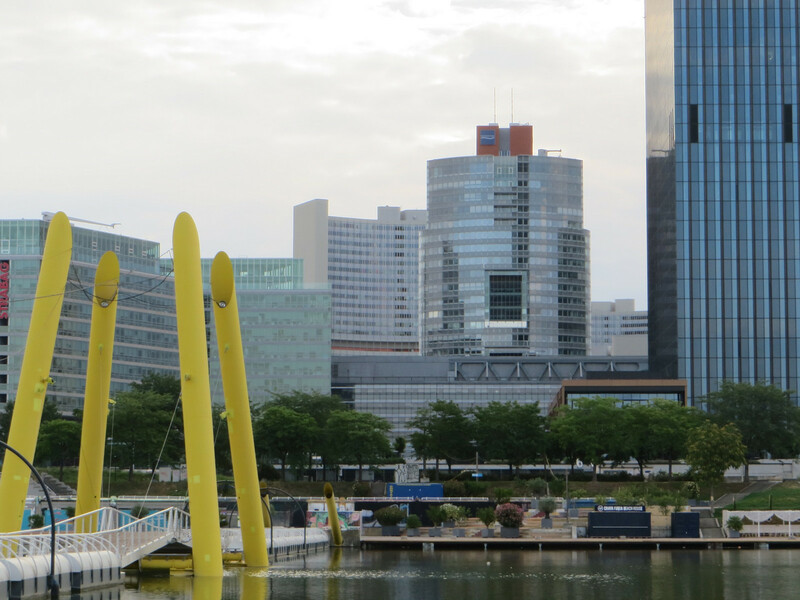 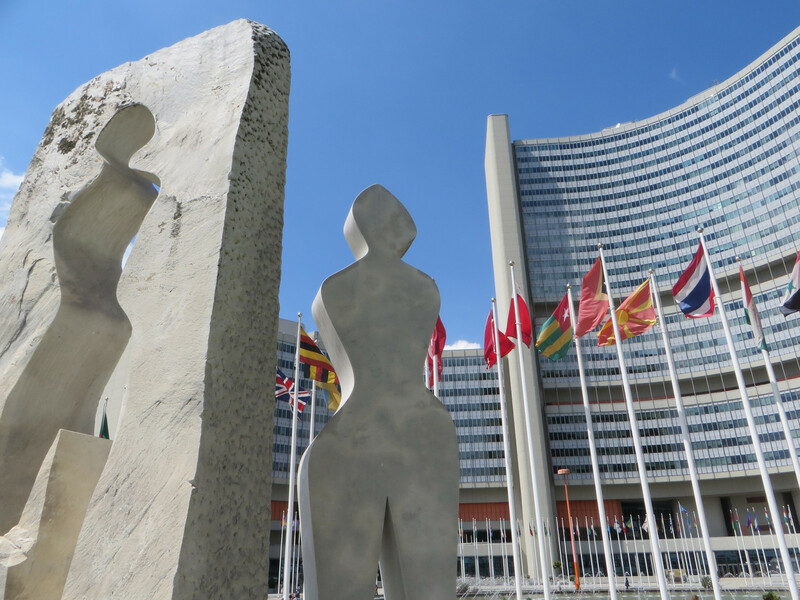 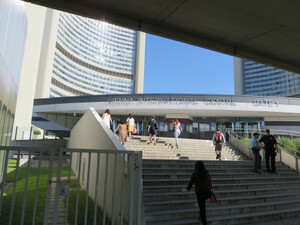 In Vienna, there are many historical buildings such as cathedral, church or palaces, but also it has interesting place called UNO city where many united nations headquarters like IAEA (The International Atomic Energy Agency) are located along Donau river. 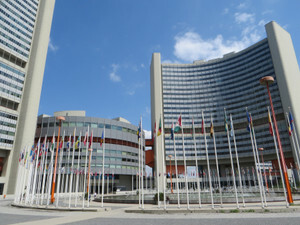 Surrounding national flags and a fountain, semicircular buildings are connected and where many organizations and conference rooms for international meetings are located. 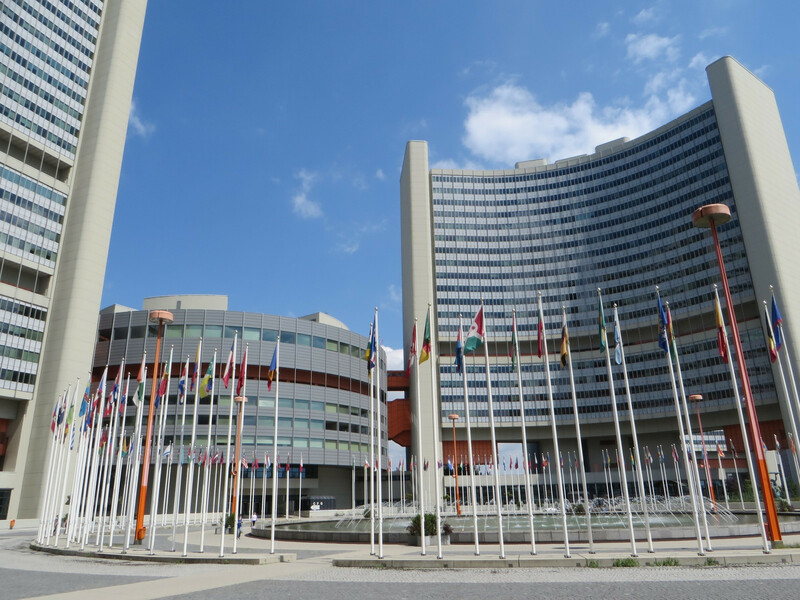 The reason of inviting organization is as a symbol of neutral city as well as avoiding bombs during cold war, it should be very wise strategy for protecting the city. 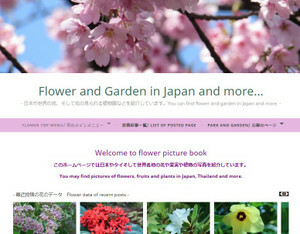 In the area, you can find many objects or pictures gifted from member countries including Japan. 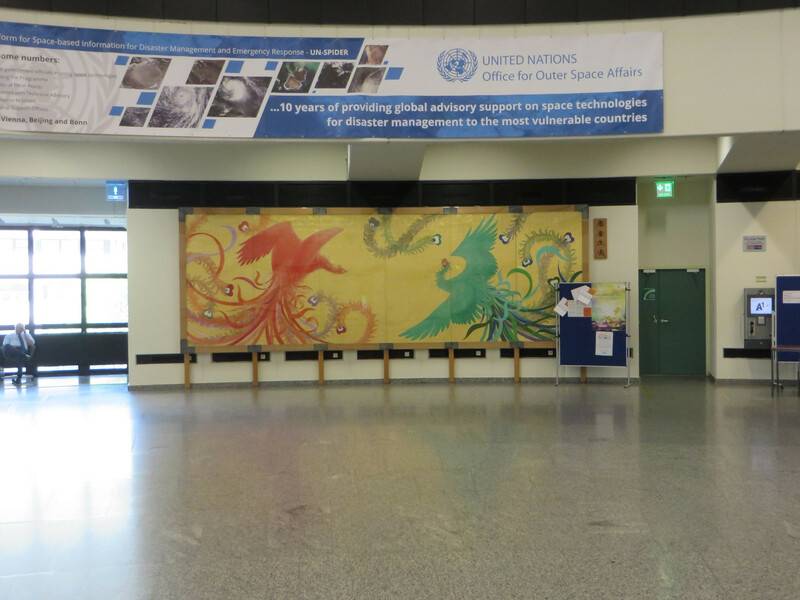 A Japanese bell-house and a picture of phoenixes that I found during my stay. 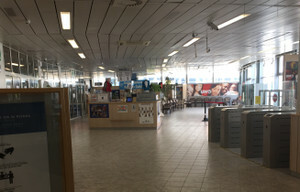 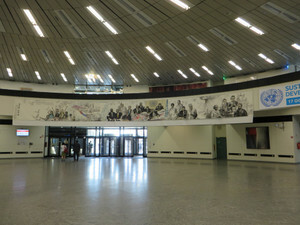 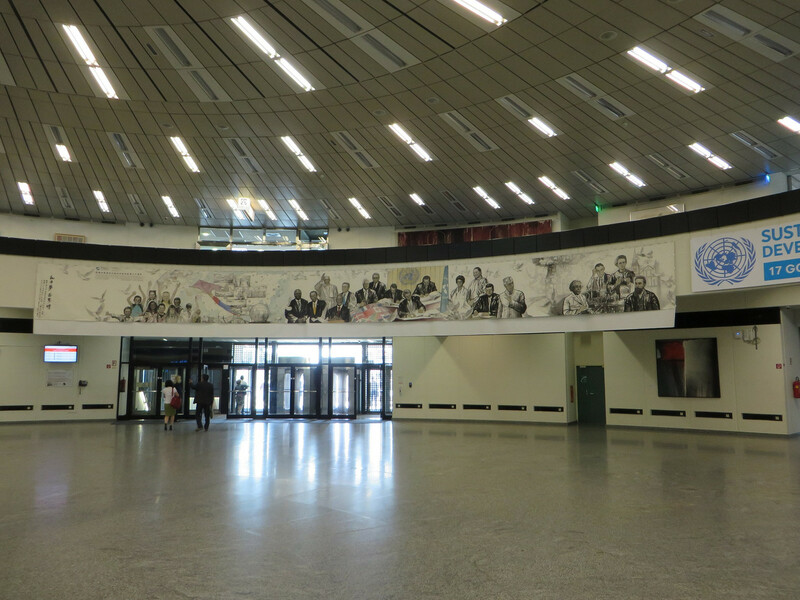 All visitors can be allowed to enter to the complex by presenting ID card with their photos and through safety body checks. 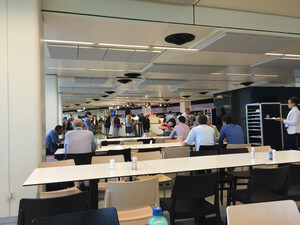 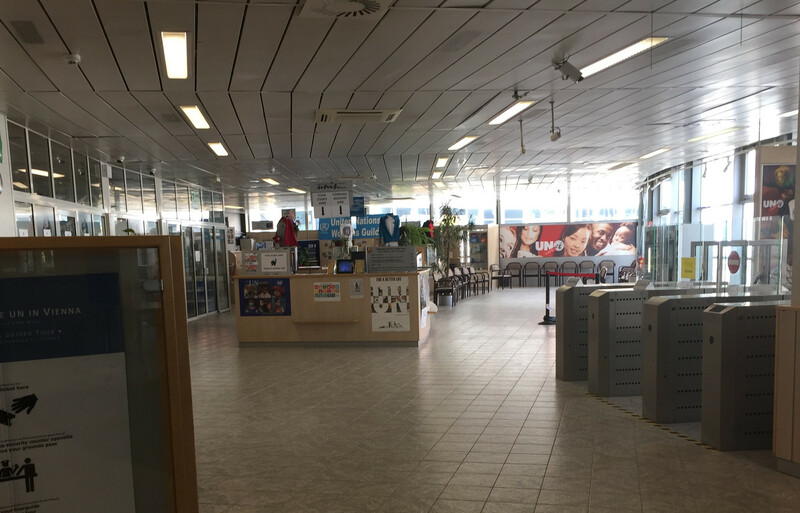 You can join a visitor's tour (but you need to pay 6 Euro), and enter into a cafeteria for taking meals or drinks. You can touch international atmospher by seeing many UN staff and deligations from different nationalities. 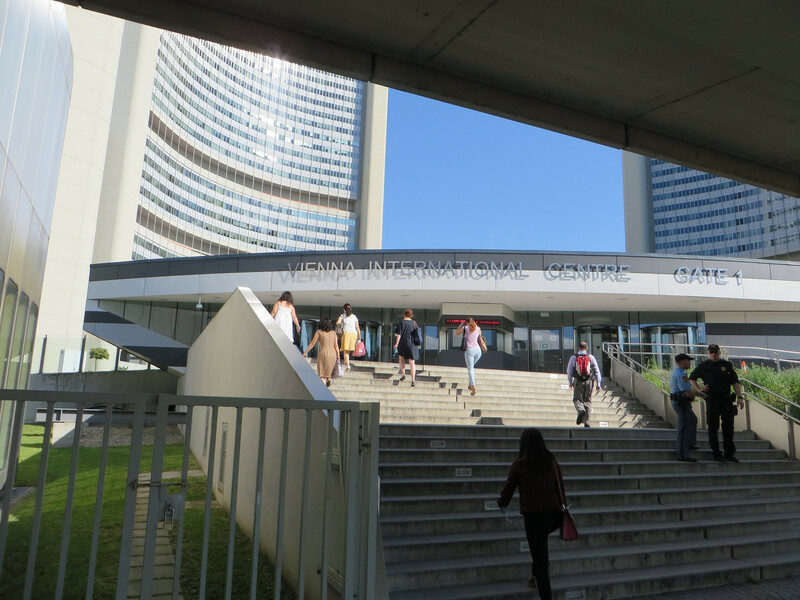 The UNO city is located 0 minutes walk from a subway station, and you can spend a couple of hours if you have time.